The it’s-time-to-put-Christmas-away internal alarm has gone from a gentle hum to deafening beep-beep-beep that can no longer be ignored. (I guess I hit snooze one too many times this Christmas season.) Organizing tips to help you store your holiday treasures more efficiently. 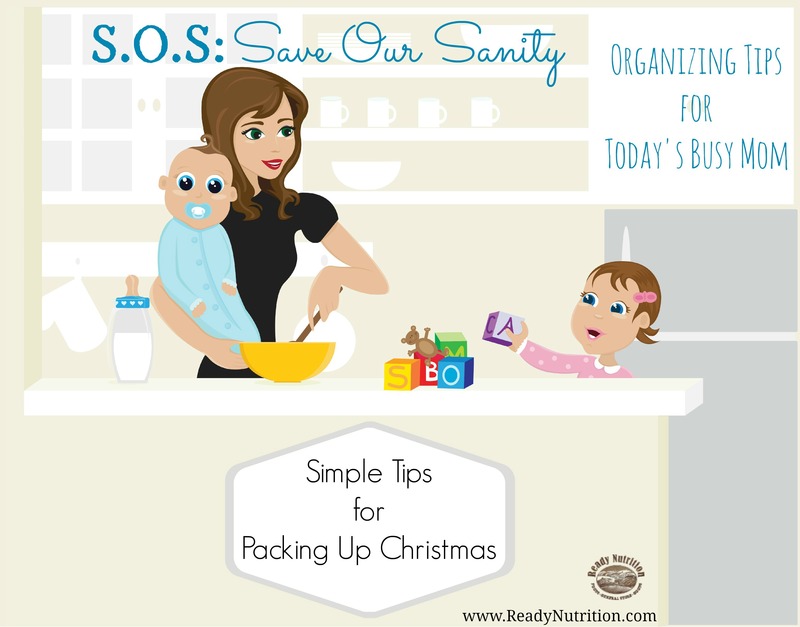 Putting away Christmas can be extremely frustrating, especially if you aren’t organized. 1. Christmas Lights and garland. When storing lights and garland, it is important that they remain untangled. Using a storage container designed specifically for storing Christmas lights, such as the Whitmor Christmas Light storage container, helps to keep your Christmas lights protected and clean until you need them for the next Christmas season. If you don’t have storage devoted to lights or garland, you can still store them neatly with items you probably have around your house. Try one of the following storage methods. Cardboard. You can purchase cardboard light and extension cord organizers or make your own. Take a piece of cardboard, wrap your Christmas lights or garland around it, and store it in a labeled, plastic container. Heavy-duty hangers. Take a heavy-duty hanger and place duct tape over the one end of the lights or garland. Wind the strand around the hanger, and when you reach the end, secure it with another piece of duct tape. Store it either in a plastic container or hang it in a storage closet. Tension rods. Wrap a strand of Christmas lights or garland around your arm and secure it with duct tape. Transfer the strand of lights or garland to a tension rod and then fit the tension rod inside the container. Note: Most containers can accommodate two tension rods that can store up to six strands of lights. Water bottle. A water bottle is an excellent way to store beaded garland. Just place it in, cap, and store. Tip: Store Christmas items in clear, plastic containers. It takes the guesswork out of what is in each box. 2. Ornament storage. Use a container like the Holiday 64 Compartment Cube Ornament Organizer that is designed with multiple layers and surround each ornament with tissue paper to prevent movement. If you don’t have an ornament storage container, you can use one of the following ideas to organize and store your Christmas ornaments for next year. Tip: If you run out of tissue paper, consider using coffee filters to wrap your ornaments. Plastic Solo cups. Adhere plastic Solo cups to a piece of cardboard that has been cut to fit your storage container. Wrap the ornament in tissue, and place it inside the cup. You can make as many layers as your storage container can accommodate. Egg cartons. Place small ornaments in egg cartons and stack inside your storage container. Ziploc bags. If your ornaments are flat, they can be stored inside Ziploc bags. Disposable bowls. Large ornaments can be placed between two disposable bowls. Wrap the ornament, place it between the two bowls, and seal it shut. Fast food drink containers. Cardboard drink containers make excellent stackable ornament storage. Just place an ornament in each of the cup slots, and then place another cardboard holder over it. These are just a few cost-effective ways to store your Christmas lights, garlands, and ornaments. Be sure to check out the next article that will discuss storing wreaths, wrapping paper, holiday villages/snow globes, and miscellaneous items.